Description Detail of the 16th century tomb of Alasdair Macleod, 8th Chief of Macleod. Central portion of arch showing the Saviour on a cross held by the Father, flanked by (right) James the Greater and (left) St ?Peter and St John. >>>>>> Item Level (DP 108434) Detail of the 16th century tomb of Alasdair Macleod, 8th Chief of Macleod. 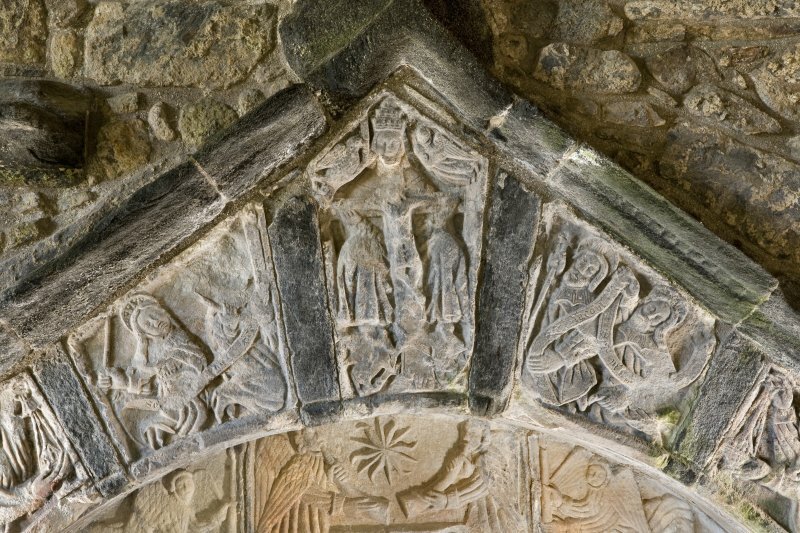 Central portion of arch showing the Saviour on a cross held by the Father, flanked by (right) James the Greater and (left) St ?Peter and St John.